In life there are hardships and challenges that appear hopeless at times. When we honor ourselves by accepting these difficulties and challenge ourselves to work toward gaining a life worth living, we find hope, strength and peace of mind. Psychotherapy helps people to make significant, positive and life long changes in a supportive and nurturing environment. Allow our Licensed therapists to help you on your journey to a more positive and healthy life. We will encourage you, support you and partner with you on this journey. Dialectical Behavior Therapy(DBT) for Adolescents 12-18 years old and Adults 19 years old﻿ and older. Individual therapy and Family therapy﻿ for clients from 13 years old to older adults. Training and Consultation to groups and organizations. Supervision to clinicians seeking licensure or licensed clinicians who need supervision and support in providing DBT to their clients. Anxiety and Depression are treatable illnesses from which people recover with the proper treatment. Don't let stigma about mental illness keep you or your loved ones from getting the help you/they need. According to the CDC, Suicide was the 10th leading cause of death for all ages in 2013 and there were 41,149 suicides in the US in 2013 which is a rate equal to one every 13 minutes. According to NIMH, Anxiety disorders affect 40 millions Adults in the US or 18% of the population. Now Offering an Online DBT Skills training class!! Join Dr. Zelaya-Kendall for a Weekly Two Hour Online DBT Skills training Class Mondays from 7:00-9:00pm. DR. ZELAYA-KENDALL'S NEW eBOOK IS NOW AVAILABLE ON AMAZON KINDLE!! 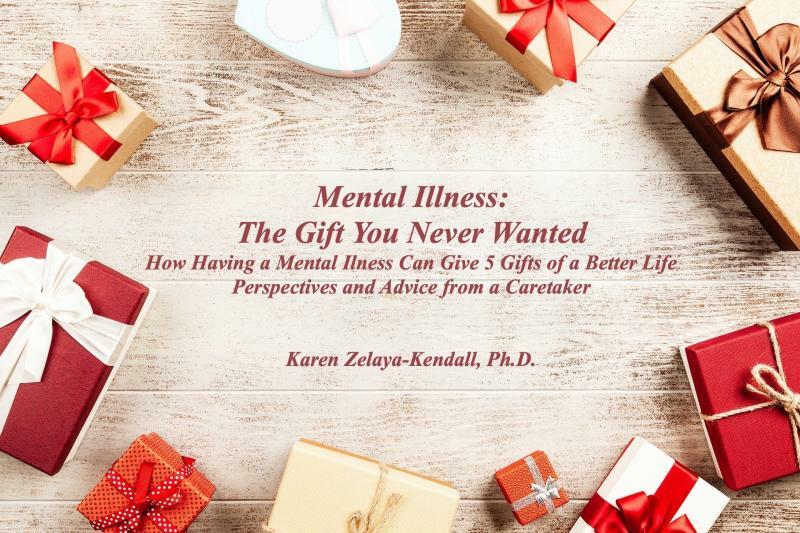 Mental Illness: The Gift You Never Wanted. This a very short book that aims to encourage women and all people who are struggling to accept their mental illness or someone else's. -Licensed Fee for Service Psychotherapist. Please contact us for more information about this position and/or to apply. Copyright 2012 Karen Zelaya-Kendall, Ph.D.. All rights reserved.